PFH Tensioner is a manual tensior for strapping widths from 3/4 in. to 1 1/4 in. 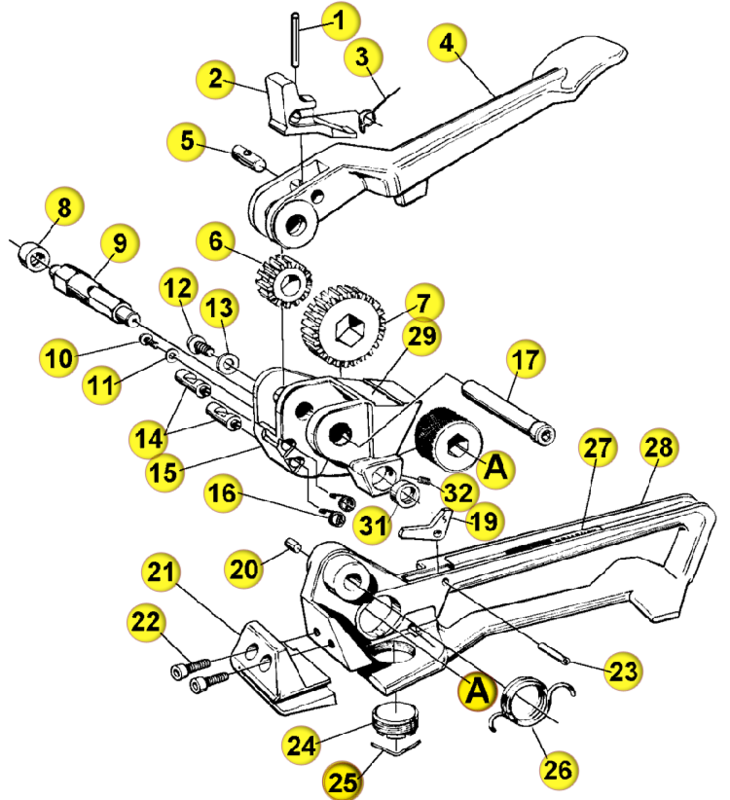 Product is a feed wheel, push type tensioner. This PFH Tensioner does require sealer.